From VA 20 southbound. Photo by Mapmikey, taken January 22, 2006. 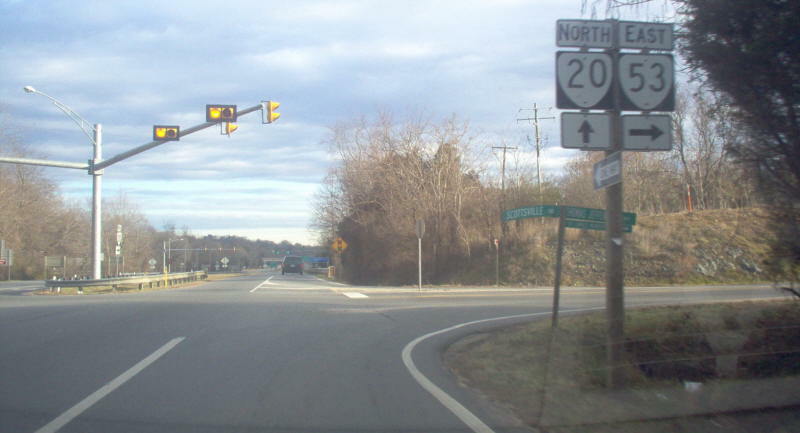 From VA 20 northbound. 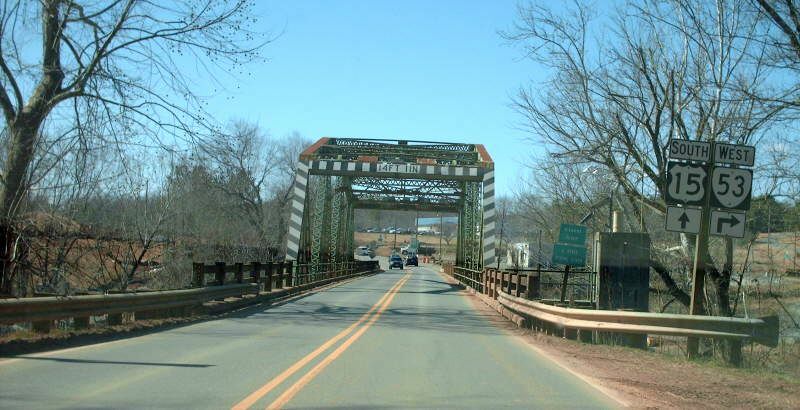 The stoplight ahead is VA 388 and the bridge is I-64. Photo by Mapmikey, taken January 22, 2006. Looking down VA 53. Not far down VA 53 is Monticello, Mitchies Tavern, and Ash Lawn. Photo by Mapmikey, taken January 22, 2006. 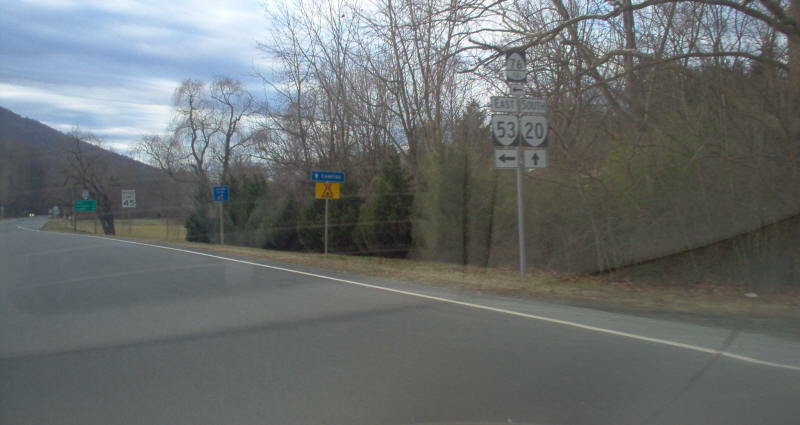 Looking down VA 53 approaching VA 20. Photo by Mapmikey, taken October 21, 2008. Heading out VA 53 westbound. Photo by Mapmikey, taken January 22, 2006. From US 15 northbound. 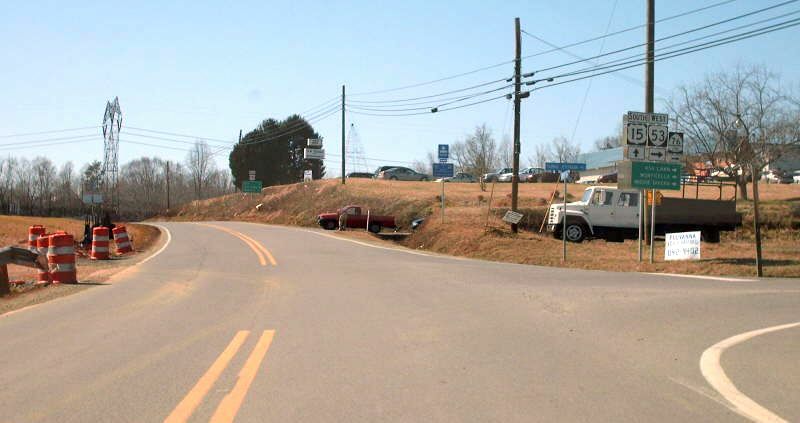 This endpoint will be shifting a little to the right as a new US 15 bridge over the Rivanna River is under construction. Photo by Mapmikey, taken December 9, 2006. 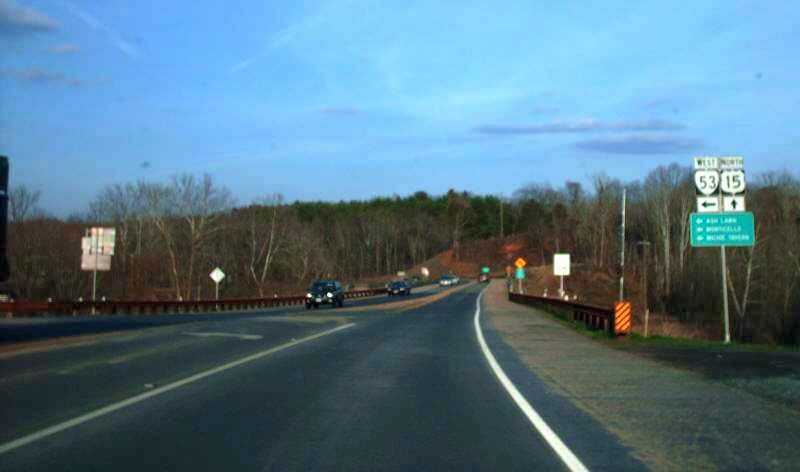 From US 15 northbound at VA 53 after the bridge replacement. Photo by Mapmikey, taken February 15, 2008. From US 15 southbound approaching VA 53. Here is a good look at the soon-to-be-replaced bridge. Photo by Mapmikey, taken March 3, 2007. From US 15 southbound at VA 53. Photo by Mapmikey, taken March 3, 2007.